Auckland’s Under-17 Boys’ team is second on the table after four rounds of the National Tournament in Lincoln. Today is the final rest day before the last round-robin match, and finals on Thursday. The Auckland team have recovered from a first-round loss against Central Districts to win three out of thre since. Tomorrow they will play Northern Districts in a match which is a de-facto semi-final. 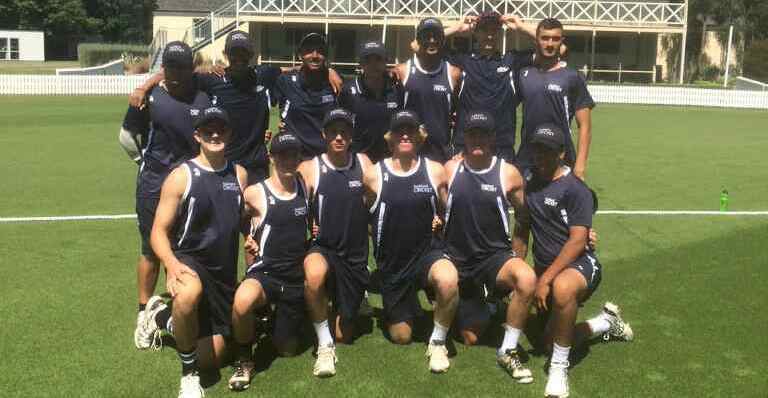 The U17s have been led by their bowling efforts – in three matches, they have taken thirty wickets, bowling out Wellington, Canterbury and Otago. Yesterday’s match saw Micah Conroy score 140 for Wellington. However, with little support, Auckland dismissed the opposition for 229 in 45 overs. Muhammed Abbas took 3-36, while Dinesh Kharel, Adithya Ashok, and Yahya Zeb all took two wickets apiece. During their chase, Auckland put together solid partnerships. Captain Nathan Robinson made 53, Dimithri Gallage 43, and Abbas 50 to make the runs inside 43 overs. Robinson in particular has been dangerous with bat in hand. He also made half-centuries against Canterbury and Otago, and is the sixth-highest run-scorer in the tournament. Leg-spinner Ashok has taken nine wickets in four games, second-most in the tournament so far. Tomorrow’s match against Northern Districts is crucial to see who will meet CD in the final. While Auckland is four points ahead of ND and Wellington, a loss will mean relying on run-rate and bonus points going their way. The weather in Lincoln also promises to test the players, a high of 31 degrees is on the forecast, and fitness will be crucial. Auckland Under-17s face Northern Districts tomorrow at Lincoln Green from 10:30am. The match will be live-scored on the NZC website.